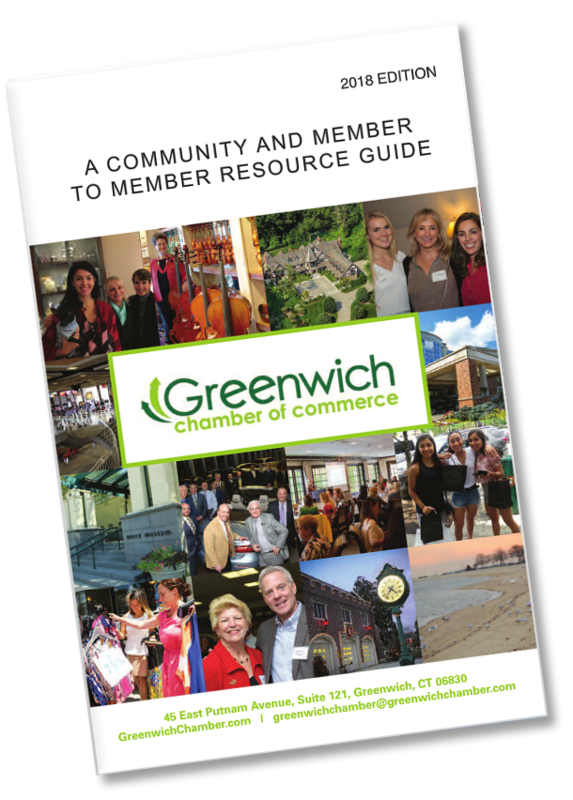 Greenwich Chamber Welcomes You to Greenwich! Established in 1917, the Greenwich Chamber of Commerce, a non-profit business organization, has been instrumental in fostering the success of the town’s nearly 4,000 businesses. The Chamber is an advocate for the interests of the business community, as well as for maintaining the town’s quality of life and its residential integrity. Its informative and educational programs and networking opportunities are open to all businesses and residents. Read more about the Greenwich Chamber's mission here. For Chamber member benefits visit our Member Services page. The Greenwich Chamber 2019 Business Showcase is the largest business tabletop networking event in town. Join us this Thursday, 5:30 - 8:00 p.m. at the Eastern Greenwich Civic Center in Old Greenwich for business networking and to support more than 70 of our local businesses while enjoying food & fun! Chamber member Dana Marnane, Vice President, Public Relations for Greenwich Hospital - Yale New Haven Health, accounts how her Chamber membership is an invaluable resource. Watch her video testimonial and learn some of the benefits of being part of the Chamber family. For more on how to leverage your Chamber membership click here. You are welcome to view our 2018 e-book directory here. It contains a listing of our Chamber members as well as an interactive guide to your beautiful Town of Greenwich, helpful to those who would like to know more about our community. For our online membership directory click here. Whether it be a town issue, a business concern or just a musing - we want to know what you are thinking. Updated with news from our Town Advocacy meetings, member surveys, educational seminars and more, our blog is a place for us to hear what you have to say. Find our blog under our tab; "About the Chamber" or click here and comment now. We want to hear your from you!